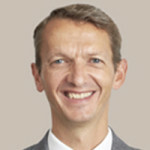 Andrew G Haldane is the Chief Economist at the Bank of England and Executive Director, Monetary Analysis and Statistics. He is a member of the Bank’s Monetary Policy Committee. He also has responsibility for research and statistics across the Bank. In 2014, TIME magazine voted him one of the 100 most influential people in the world. Andrew has written extensively on domestic and international monetary and financial policy issues. He is co-founder of ‘Pro Bono Economics’, a charity which brokers economists into charitable projects. 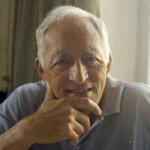 Domenico Delli Gatti is professor of economics at Catholic University, Milan, where he received his PhD in 1987. He has been a visiting scholar at Washington University in Saint Louis, University of Cambridge, Massachusetts Institute of Technology, Stanford University, New School for Social Research, University of California in Santa Cruz, Santa Fe Institute, and Columbia University. His research interests focus on the role of financial factors (firms’ and banks’ financial fragility) in business fluctuations, a field he started exploring in collaboration with Hyman Minsky, and revisited due to the research work carried out with Joe Stiglitz and Bruce Greenwald. Professor Delli Gatti has recently devoted his research effort to two areas of research: the properties of ‘financial accelerator’ multi-agent models, and the properties of networks of borrowing-lending relationships. 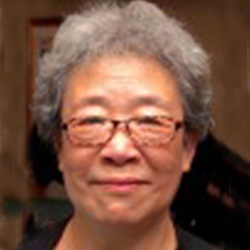 Shulin Gu is a research fellow (retired) in the Institute of Policy and Management at the Chinese Academy of Sciences and a visiting professor to the School of Management in Zhejiang University. She has also been an editorial board member for the Journal of Science, Technology and Society and an advisory panel member for UNDP Human Development Report 2001. Her current research interest is innovation and development, innovation systems, agriculture and rural development in China and other developing countries, policy institutions and policy process. During the 1960s and the 1970s, Gu was a natural scientist (chemical dynamics) and petro-chemical engineer. In 1982, she transferred to be a research professor on S&T policy in the Institute of Policy and Management of the Chinese Academy of Sciences. Since 1992, she has been a senior research fellow in UNU/INTECH, working on projects such as ‘The Politics of Technology Policy Institutions in China’, ‘The Evolution of High Technology Research Institutions and New Enterprise Organisations in China’, ‘Information Revolution and Social and Economic Exclusion in Developing Countries’ and ‘Characteristics of National Innovation Systems in Developing Countries’. Peter Howitt is emeritus professor of economics and the Lyn Crost Professor Emeritus of Social Sciences at Brown University. Most of his research has been in the area of macroeconomics and monetary economics. He is one of the founders of the modern innovation-based theory of economic growth and has been active in the search for new foundations to macroeconomics and monetary theory. He has also written extensively on the subject of Canadian monetary policy. He is a research associate of the National Bureau of Economic Research, a fellow of the Royal Society of Canada and a fellow of the Econometric Society. Sarah Kaplan is professor of strategic management at the Rotman School of Management, University of Toronto. She was previously a faculty member of the Wharton School, University of Pennsylvania, where she remains a senior fellow. 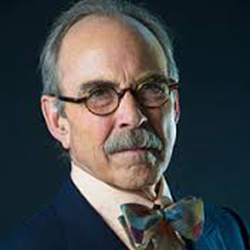 Dr Kaplan is co-author of the business bestseller, Creative Destruction, which challenges the notion of sustainable competitive advantage and the myth of excellence. Her current research extends these insights by focusing on how organisations participate in and respond to the emergence of new technologies and fields. Prior to her academic career, she was a management consultant for nearly a decade with McKinsey & Company. She received a BA in political science from UCLA, an MA in international relations from the Johns Hopkins Nitze School of Advanced International Studies (SAIS), and a PhD from MIT’s Sloan School of Management. Alan Kirman is professor emeritus of economics at Aix Marseille Université and at the Ecole des Hautes Etudes en Sciences Sociales and is a member of the Institut Universitaire de France. 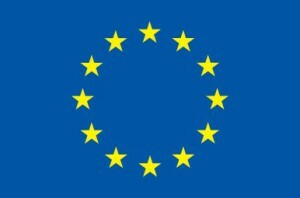 His PhD is from Princeton and he has been professor of economics at Johns Hopkins University, the Universte Libre de Bruxelles, Warwick University and the European University Institute in Florence. He was elected a fellow of the Econometric Society and of the European Economic Association and was awarded the Humboldt Prize in Germany. He is a member of the Institute for Advanced Study in Princeton. Prof. Kirman’s recent research has focused on the relationship between individual and collective economic behaviour and the role of direct interactions between economic agents in determining aggregate outcomes. He has also worked on general equilibrium theory, international trade, game theory, information, social choice, networks and economic justice. He has had 150 articles published in international scientific journals. He has authored and edited 12 books, the most recent of which was published in July 2010 by Routledge and is entitled Complex Economics: Individual and Collective Rationality. 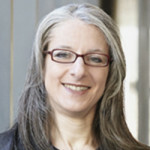 Carlota Perez is Centennial Professor of International Development at the London School of Economics (LSE); professor of technology and development at the Nurkse Institute, Technological University of Tallinn, Estonia; research affiliate at CFAP/CERF, Cambridge Finance, Judge Business School, Cambridge University; and honorary professor at SPRU, Science and Technology Policy Research, School of Business, Management and Economics, UOS, UK. 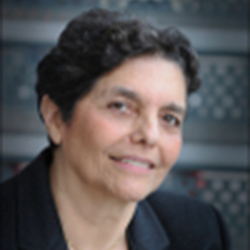 Her articles from the early 1980s and her book Technological Revolutions and Financial Capital: The Dynamics of Bubbles and Golden Ages (Elgar 2002) have contributed to the present understanding of the relationship between technical and institutional change, between finance and technological diffusion and between technology and economic development. As a consultant and lecturer, Prof. Perez has worked for various public and private organisations, for major corporations and governments in Latin America, North America and Europe, as well as for the EU, the OECD, the UN and several multilateral agencies. 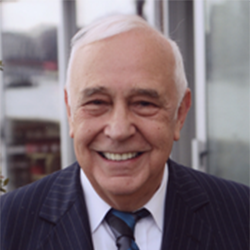 Robert Lord Skidelsky is Emeritus Professor of Political Economy at the University of Warwick. His three volume biography of the economist John Maynard Keynes (1983, 1992, 2000) received numerous prizes, including the Lionel Gelber Prize for International Relations and the Council on Foreign Relations Prize for International Relations. He is the author of the The World After Communism (1995) (American edition called The Road from Serfdom). 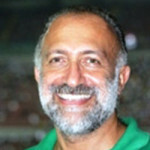 He was made a life peer in 1991, and was elected Fellow of the British Academy in 1994. He is chairman of the Governors of Brighton College. He writes a monthly column for Project Syndicate, “Against the Current”, which is syndicated in newspapers all over the world. His account of the current economic crisis, Keynes: The Return of the Master, was published by Penguin Allen Lane in September 2009. 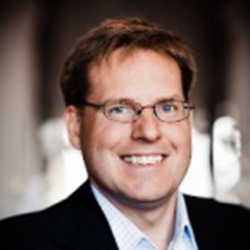 Fredrik Tell is professor of Business Administration at the Department of Business Studies of the Uppsala University, Sweden. Previously he was professor of management and director of the KITE Research Group at Linköping University. His research and teaching centres on the implications of innovation and knowledge integration for firm strategies, competitiveness and organisation. Much of his research has focused on the evolution of the electrical engineering industry, but he has also been involved in research projects in the aerospace, automotive and telecommunications industries. He currently serves as a co-editor of the scientific journal Industrial and Corporate Change. Adair Lord Turner has combined careers in business, public policy and academia. 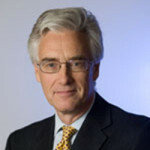 He became Chairman of the United Kingdom Financial Services Authority as the financial crisis broke in September 2008, and played a leading role in the redesign of the global banking and shadow banking regulation as Chairman of the International Financial Stability Board’s major policy committee. He is now a Senior Fellow of the Institute for New Economic Thinking, and at the Centre for Financial Studies in Frankfurt. Prior to 2008, Lord Turner was a non-executive Director at Standard Chartered Bank (2006-2008); Vice Chairman of Merrill Lynch Europe (2000-2006); and, from 1995-1999, Director General of the Confederation of British Industry. He was with McKinsey & Co. from 1982 to 1995. He is the author of ‘Just Capital – The Liberal Economy’ (Macmillan, 2001), and Economics after the Crisis, (MIT Press, 2012), and holds Visiting Professorships at the London School of Economics and at Cass Business School, City University. He is a Trustee and Chair of the Audit Committee at the British Museum. Lord Turner studied history and economics at Caius College, Cambridge. 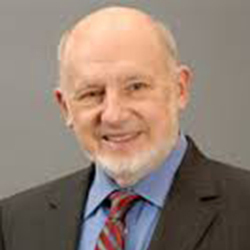 Sidney G. Winter is Deloitte and Touche Professor of Management, Emeritus, at the Wharton School of the University of Pennsylvania. 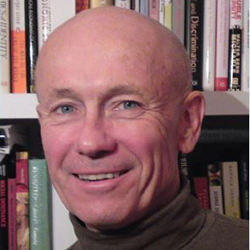 He is the co-author, with Richard Nelson, of the path-breaking book An Evolutionary Theory of Economic Change. Outside of the domains of firm behaviour and evolutionary theory, he has published on a variety of topics, ranging from general equilibrium theory to weather forecasting and beyond. In 2008 he became the fourth recipient of the Viipuri Prize in Strategic Management, awarded in Lappeenranta, Finland, and was named the distinguished lecturer of the Technology and Innovation Management division of the Academy of Management. Winter was chief economist of the US General Accounting Office between 1989 and 1993 and has been vice president of the International J.A. Schumpeter Society since 2005. He is the 2015 winner of the Global Award for Entrepreneurship Research.